Matt Johnson is originally from the UK and now resides in Canada. Matt has been performing and perfecting his craft in the art of illusion for more than 20 years. Over the past 20 years he has literally traveled the globe performing in exotic locations such as Japan, Dubai, Argentina, Australia and throughout Europe. He has performed at theaters, on cruise ships and for many of the world’s largest companies including Mercedes, Ford, AT&T, Toyota and Microsoft to name just a few. Matt began his career in his hometown of Sheffield, England where he started as a traditional magician and illusionist at the young age of 13. On his travels around the world his knowledge in both magic and the mystic arts grew. He picked up secrets and techniques from the countries he visited and the people he met along the way. It’s this worldly perspective and his life stories that make Matt Johnson’s act truly unique and remarkably refreshing. Matt’s show is not simply a magic show it’s a glimpse into the life and dedication of a born illusionist. Matt’s performances are absolutely unique and completely captivating. 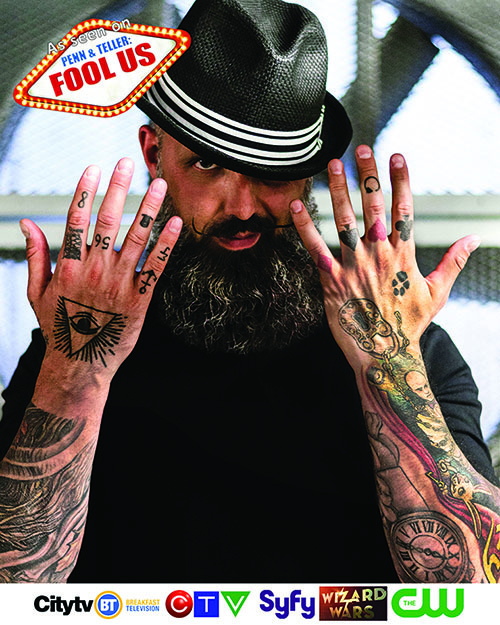 He delivers his illusions with the edge of a street magician combined with the slick presence of a seasoned stage performer. 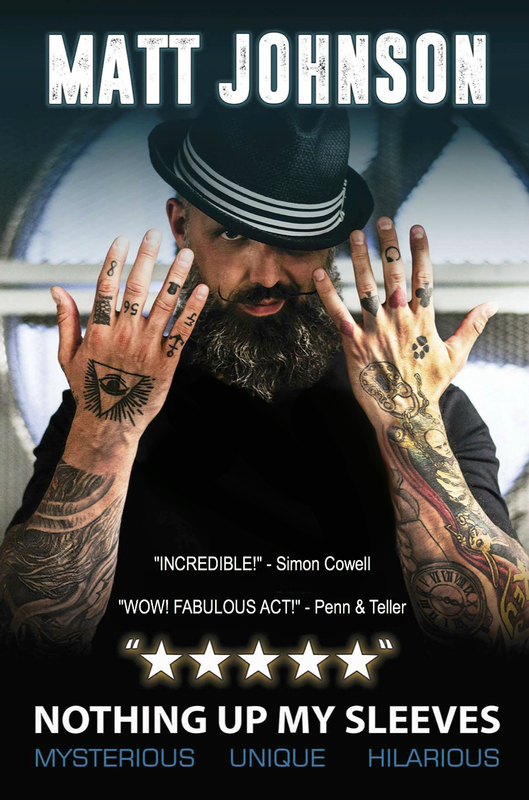 Every performance incorporates magic, mentalism, the power of suggestion, stunts, comedy and audience participation into an act that was hailed as “Incredible!” by Simon Cowell and “Wonderful!” by Penn & Teller Matt has appeared on hit TV shows around the world and has been viewed in over 60 countries. His TV appearances have also gone viral on YouTube with over 20 MILLION views to date! International Magician & Illusionist Matt Johnson has travelled the globe for more than 20 years thrilling audiences and making them laugh wherever he goes. He has starred on hit TV shows such as The World’s Best, Britain’s Got Talent & Penn & Teller Fool Us. To date he has over 50 Million views on You Tube. 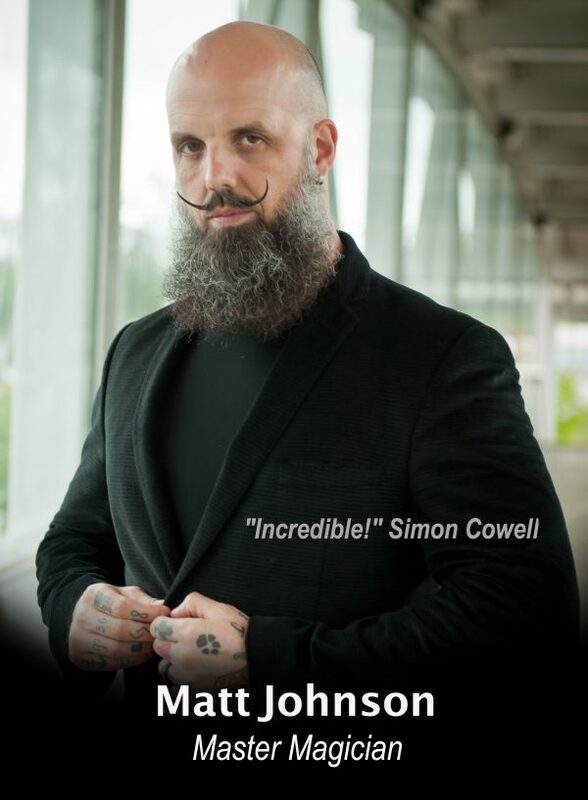 Master Magician & Illusionist Matt Johnson is back with all new material and a show that will blow your mind! Master Magician Matt Johnson is back with all new material and illusions that will blow your mind. This is a show not to be missed!